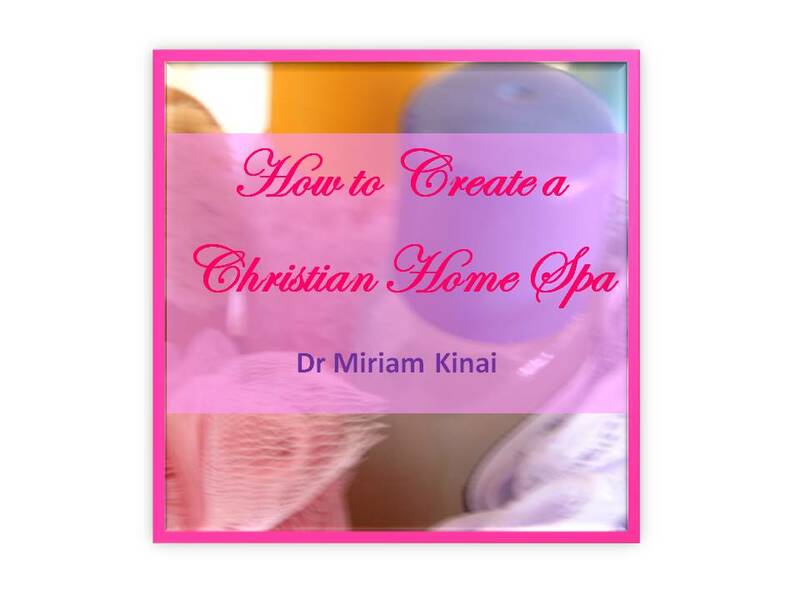 How to Create a Christian Spa at Home teaches you the tips to create a physically, mentally and spiritually rejuvenating Christian themed spa in your home. It contains over 30 spa beauty and spa cuisine recipes and 25 Christian Home Spa Activities to help you prepare a perfect spa party. 1. Clean the home spa room by scrubbing and scouring to get rid of any dirt or grime which may make you uncomfortable. 2. Add a chair with cozy cushions to the home spa so that you can have a place to sit on to unwind. If you have a choice, choose cream upholstery for it is said to be a comforting color. 3. Snuff out odors by diffusing sweet smelling essential oils such as lavender and geranium into the room. 4. Eradicate environmental stress from your at home spa space by fixing the dripping tap, clogged drain, moldy bathtub, jammed door, draughty window or any other irritation that may hinder total relaxation.